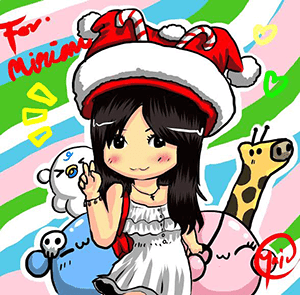 Hi there fellow merry goers! Chinese New Year is just around the corner and many restaurants have been blasting their promotions all around! Let's not forget Sakae Sushi, a popular kaitan sushi-concept restaurant which offers a delectable variety of quality Japanese specialities including sushi, sashimi, yakimono, agemono and many others. Sakae Sushi outlets are well furnished to accommodate large and small group of diners and suitable for all ages. They have even set meals for kids and I love their promotion of Kids Eat for Free every Sunday! 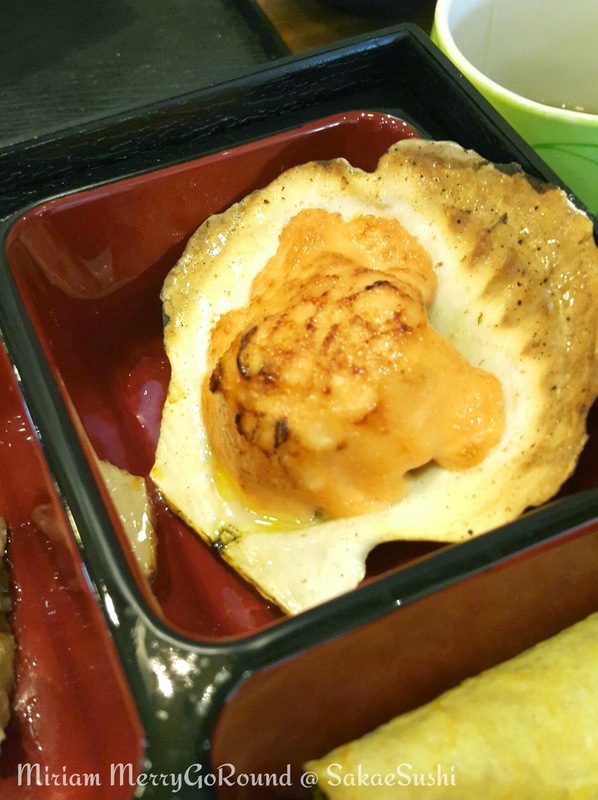 One feature that really differentiates this Japanese restaurant is that it uses the iPad at each table and allows customers to browse through the menu and sends their orders to the kitchen at top speed! 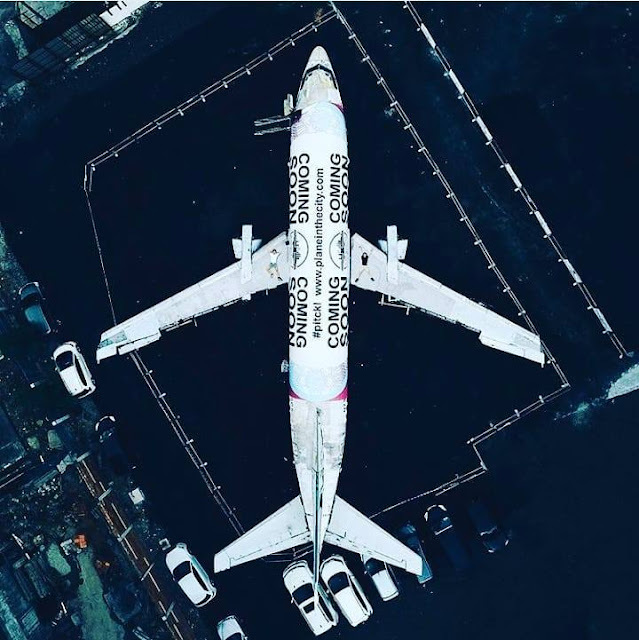 Cool right. You can also keep tab on your own orders and no more are those days of waving your hands around like a mad man trying to get the attention of the servers. 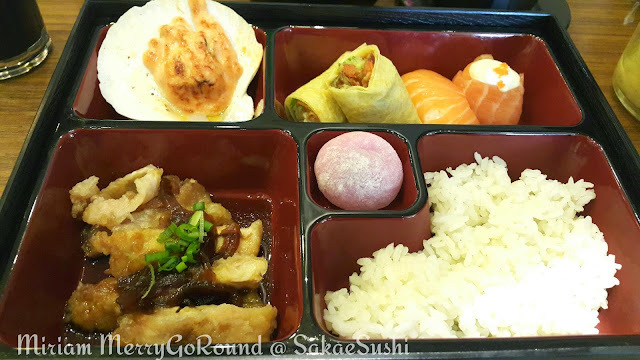 Sakae Sushi has been one of popular Japanese food outlet for my family when we are looking for a quick Japanese food fix. 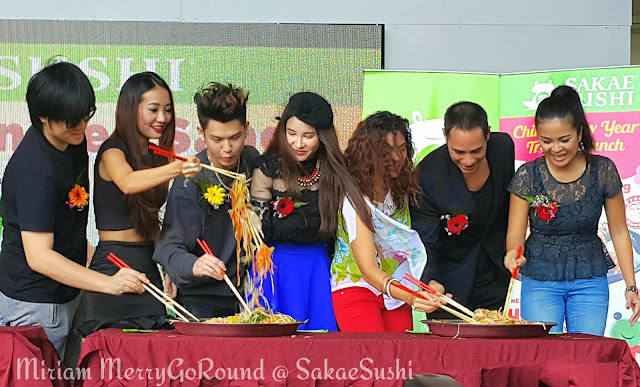 Imagine my delight to be invited to the Sakae Sushi CNY Treats and Yee Sang Launch at Paradigm Mall. 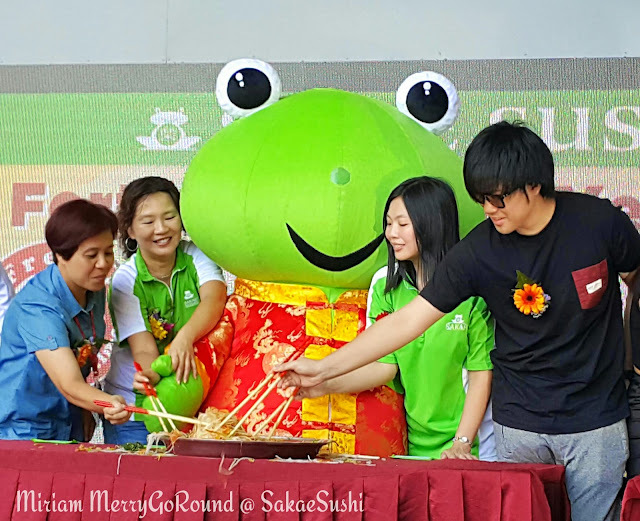 We were welcomed with the ever cute Mr. Froggy and really honoured to be able to witness the cheque presentation ceremony for the Gift of Love campaign that they ran end of last year. The Gift of Love campaign encouraged diners to fold an origami heart and drop it in their box placed at every outlet nationwide where each heart will be channeled as RM 1 to be donated to Hope Worldwide Malaysia. 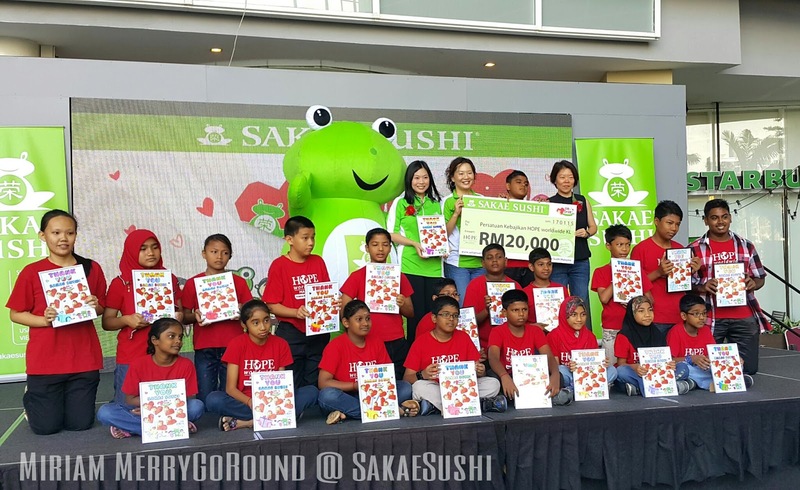 In total, Sakae Sushi donated RM 20,000 and this amount was presented to Hope Worldwide Malaysia. There were tons of celebrities and guest of honour present on that day and we had a great time. 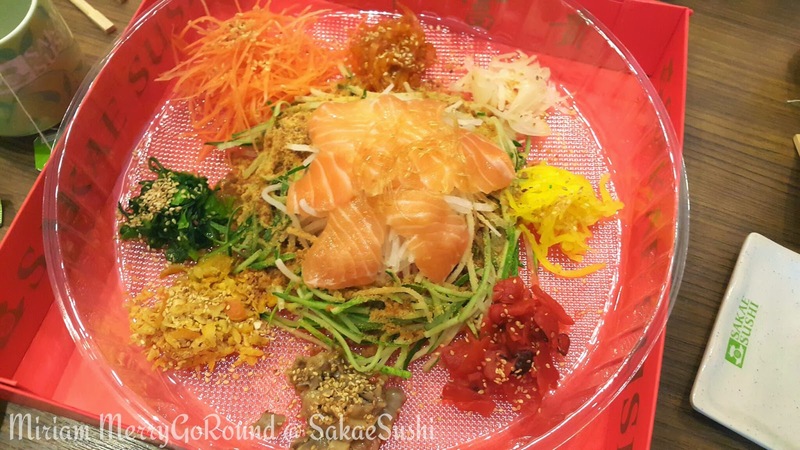 Well, this CNY Sakae Sushi has once again launched their Fortune Yee Sang which is definitely bound to tempt taste buds of their patrons! 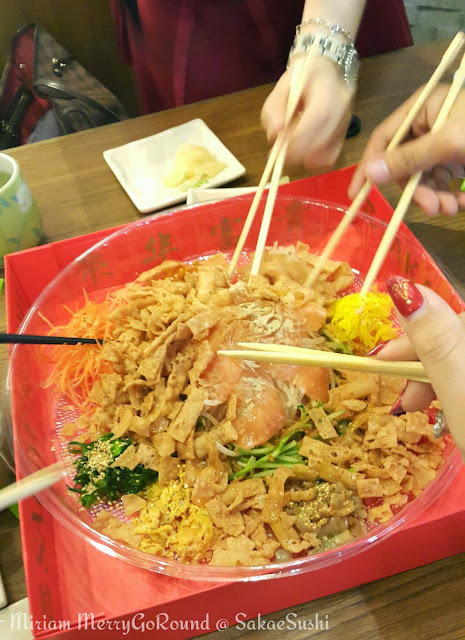 The Fortune Yee Sang is available in two dining options themed Success (for 2 - 3 pax) and Money (for 6-8 pax). 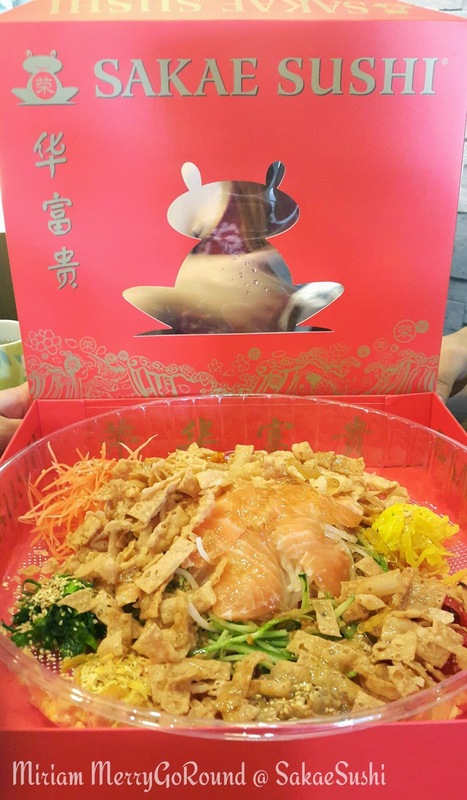 If you are looking to give this as a gift no worries as the Yee Sang cones in an exclusively designed premium packaging box which is ideal for takeaways, gatherings and gifts. 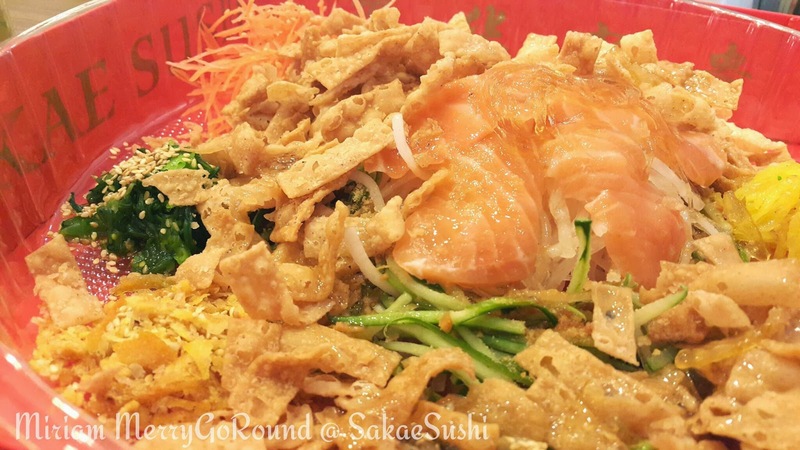 The Yee Sang at Sakae Sushi has a Japanese twist with the chefs at Sakae Sushi using thick slices of fresh air flown salmon accompanied with authentic Japanese ingredients like seasoned jellyfish, scallop, seaweed, radish, sesame and more topped with their special citrus-infused sauce for that tangy burst of flavour. I really enjoyed the Yee Sang from Sakae Sushi and of course it was fun tossing the Yee Sang as high as possible while saying toasting to a prosperous New Year ahead. 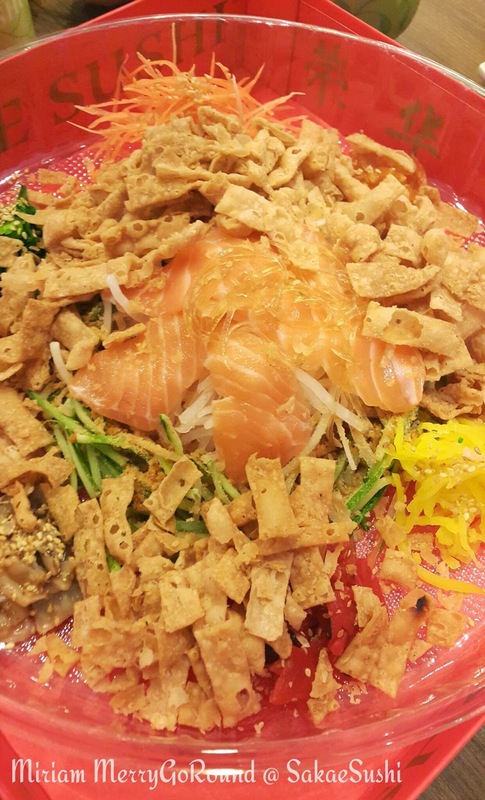 The salmon cuts were really fresh and the citrus sauce gave it a tangy burst of flavour which complements the whole dish. 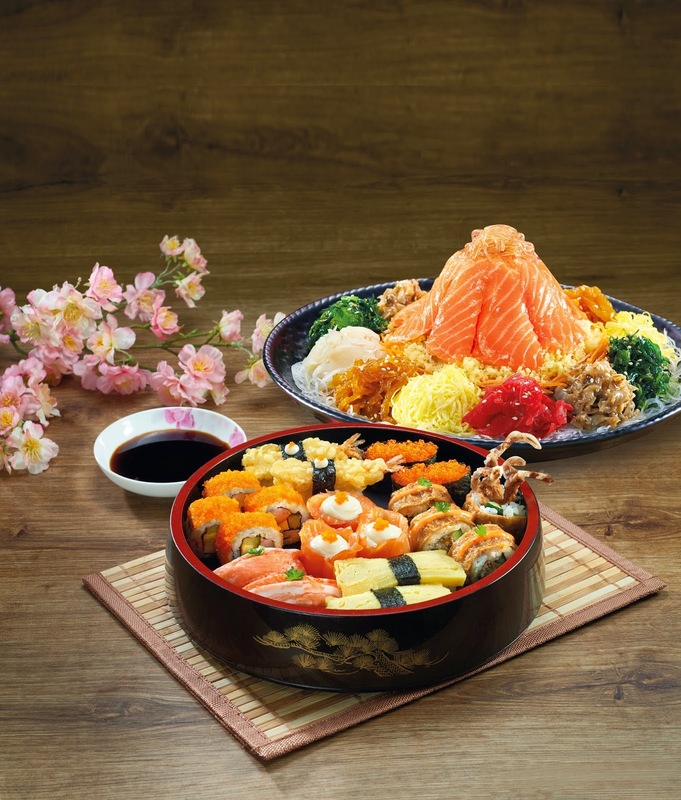 Besides the Fortune Yee Sang take note on their brand new CNY Treasures Combo Set which is the combination of both the Money Yee Sang and the Sushi Party Set. 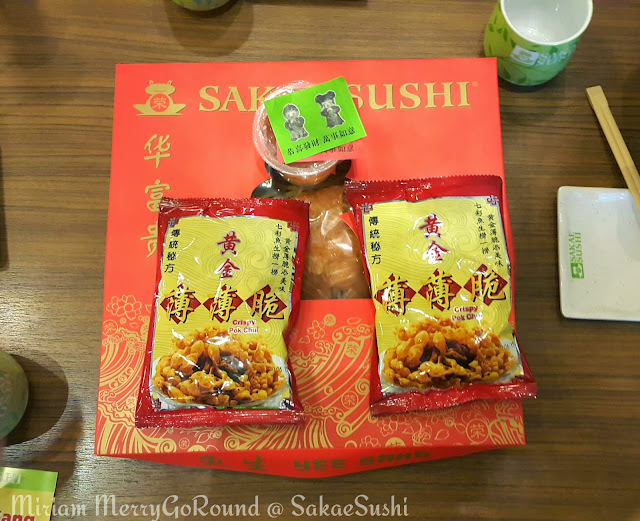 This CNY Treasures Combo Set features Sakae Sushi's signature sushi prepared with vitamin E added sushi rice to added health benefits. To usher in the new year, Sakae Sushi is rewarding their patrons with a Lucky Bag Giveaway! 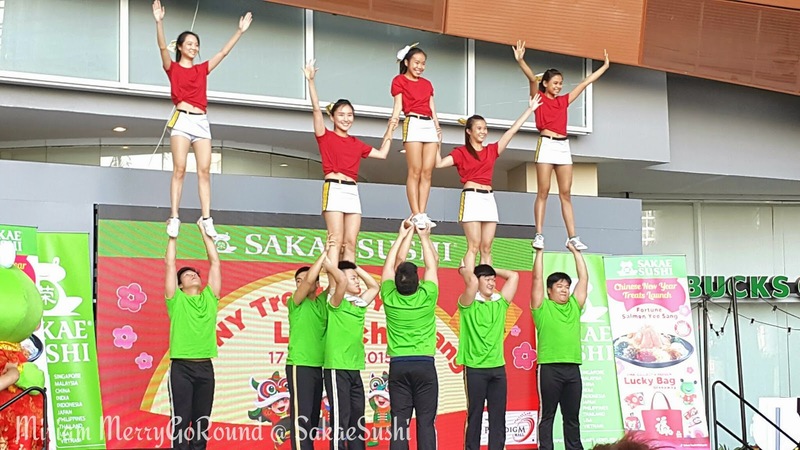 Everyone is able to redeem their Lucky Bag with just three steps! 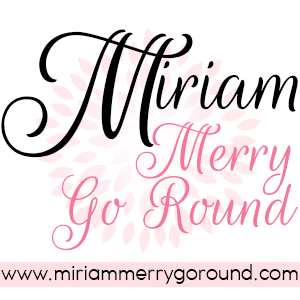 Dine, Collect and Redeem. Through this promotion, customers will receive a stamp for every RM 30 spent at Sakae Sushi and once you've collected 8 stamps you will be able to redeem a FREE Lucky Bag worth up to RM 88. 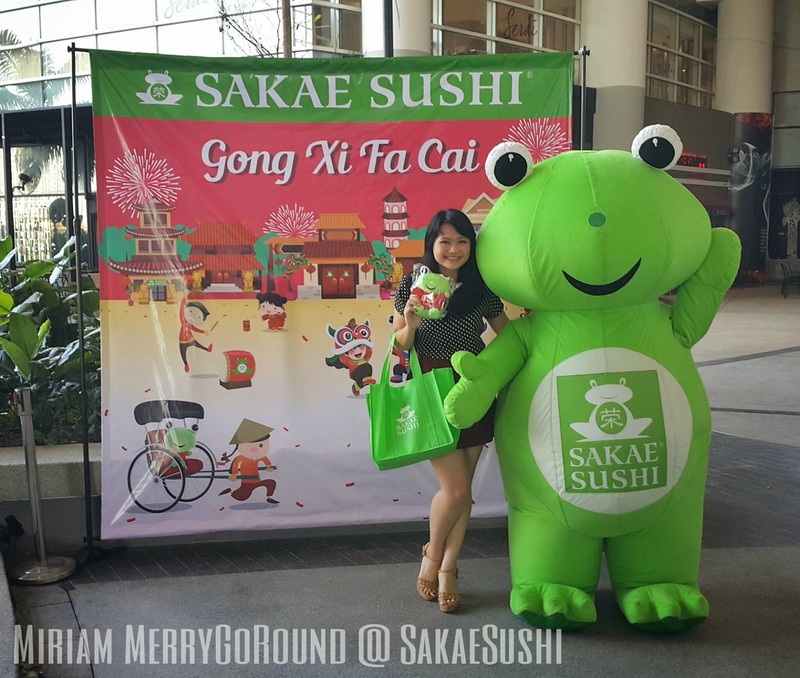 The Lucky Bag consists of a limited edition Sakae Fortune Froggie plush toy, a tote bag, Genmaicha, cash vouchers and Angpow. However you can also choose to collect just 3 stamps and take home the Lucky Bag for just RM 38.80. 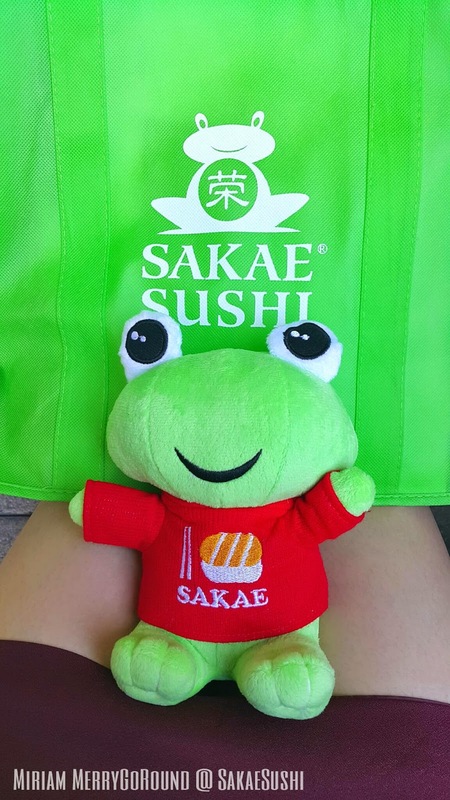 I myself have went over to Sakae Sushi to participate in their promotion and I still have 6 more stamps to collect to redeem my Lucky Bag! If you have not started to collect your stamps no worries because the stamp collection period is from 8 Jan to 5 March! Of course these bags are limited stock only so do hurry and grab them before they are all gone. 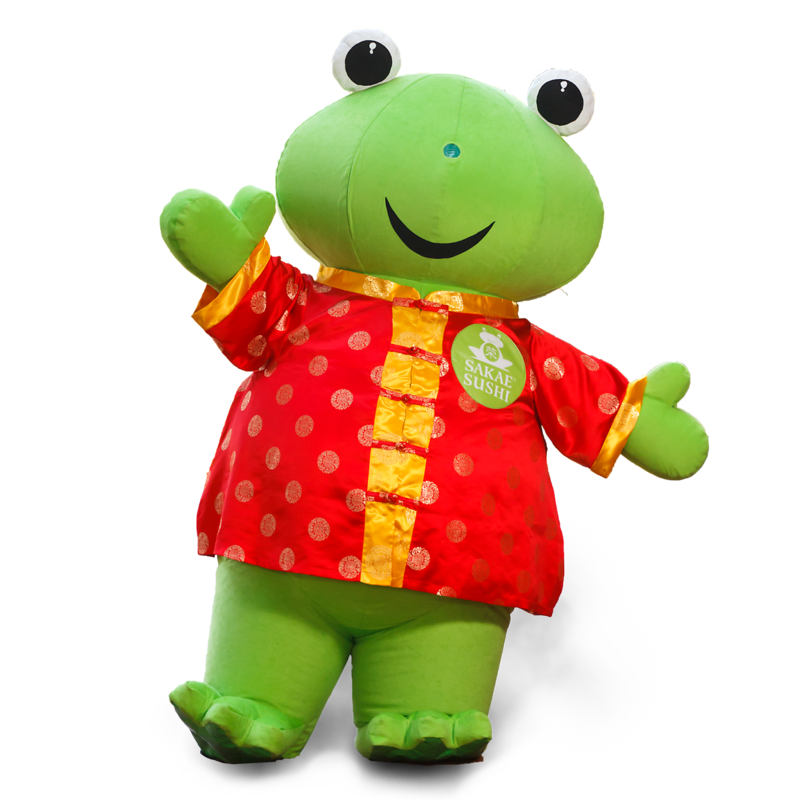 The Froggy plushie is so cute wearing the CNY clothing and holding a cute gold nugget. 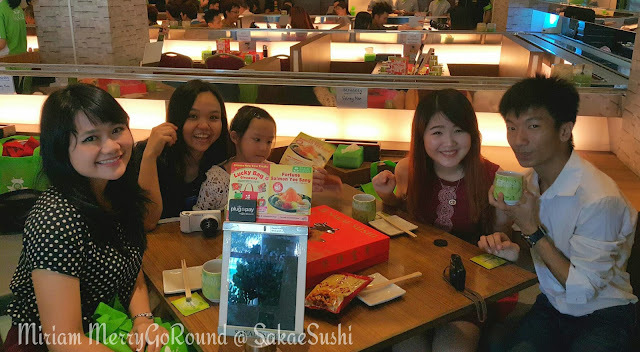 My personal review of the food in Sakae Sushi is that is really affordable to bring your family or even to just hang out with your friends. 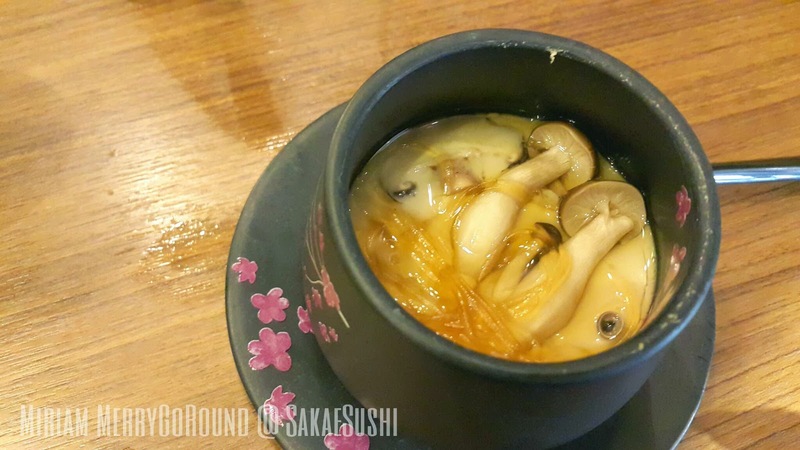 The food served is really worth it and guaranteed to be fresh. 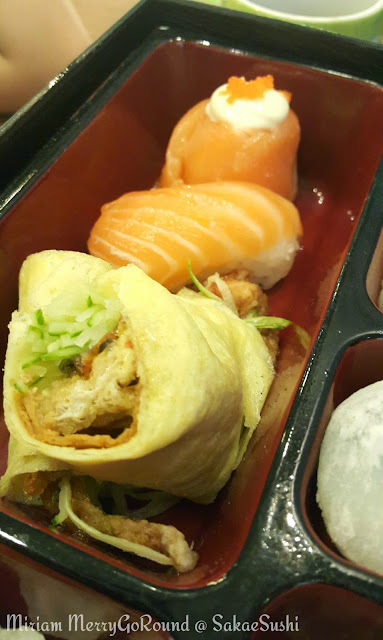 So if you are salivating already, don't wait any longer and head on to your nearest Sakae Sushi outlet. They have 29 outlets all around Malaysia and now you can dine and receive great rewards this Chinese New Year.